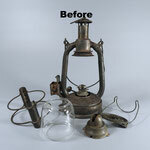 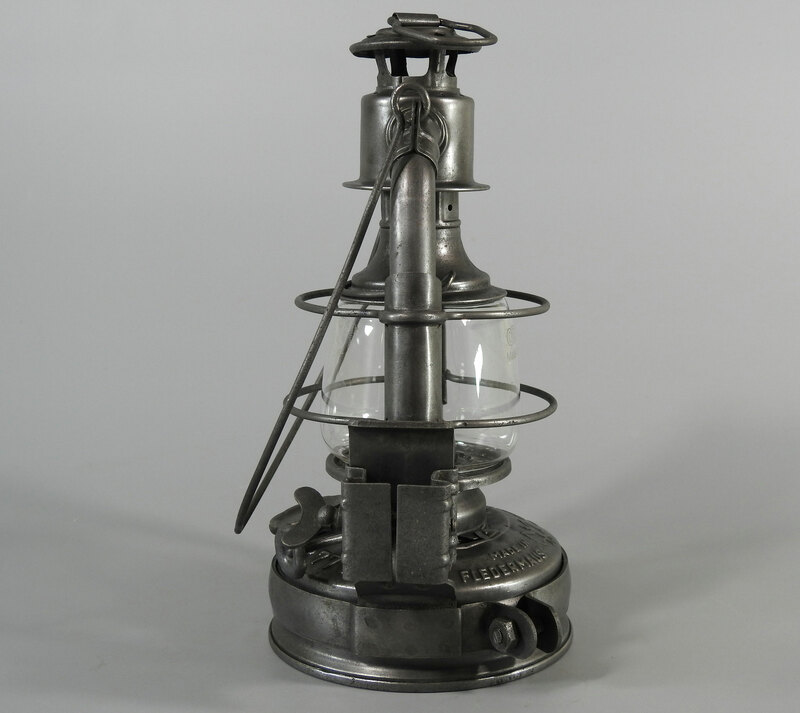 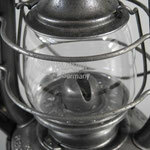 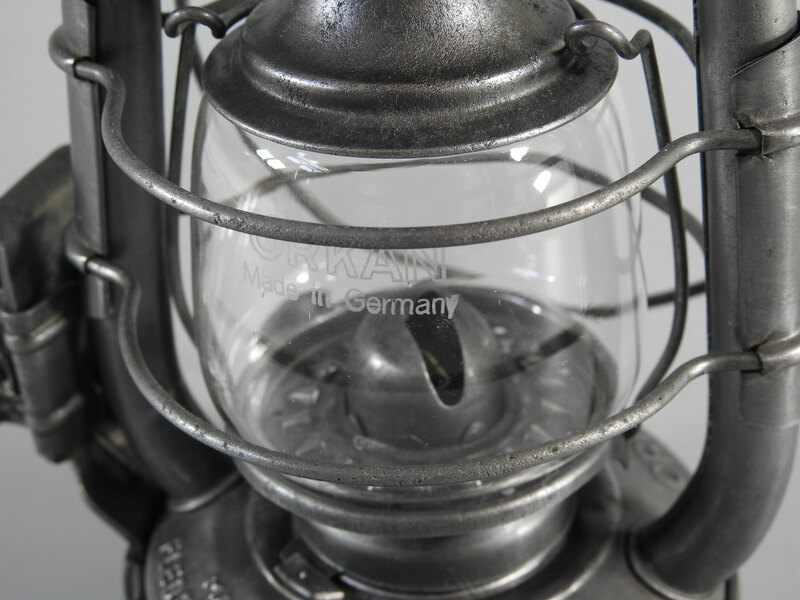 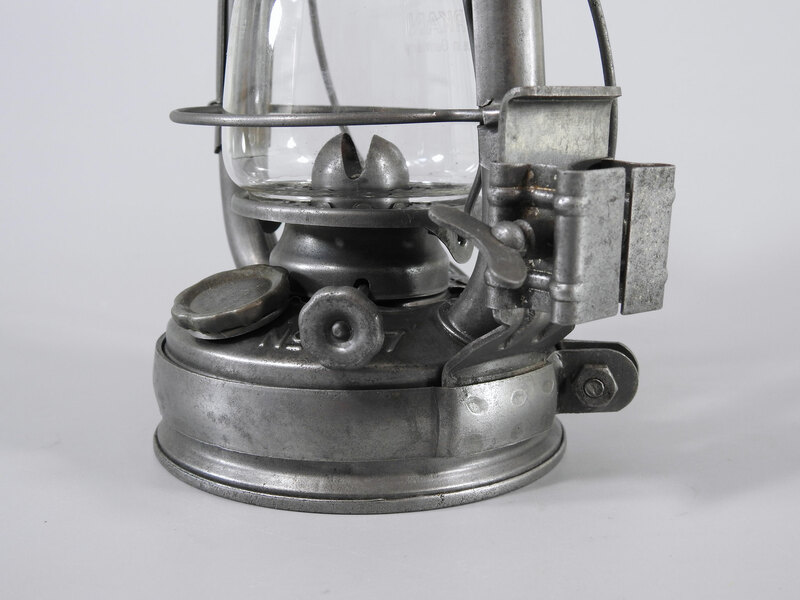 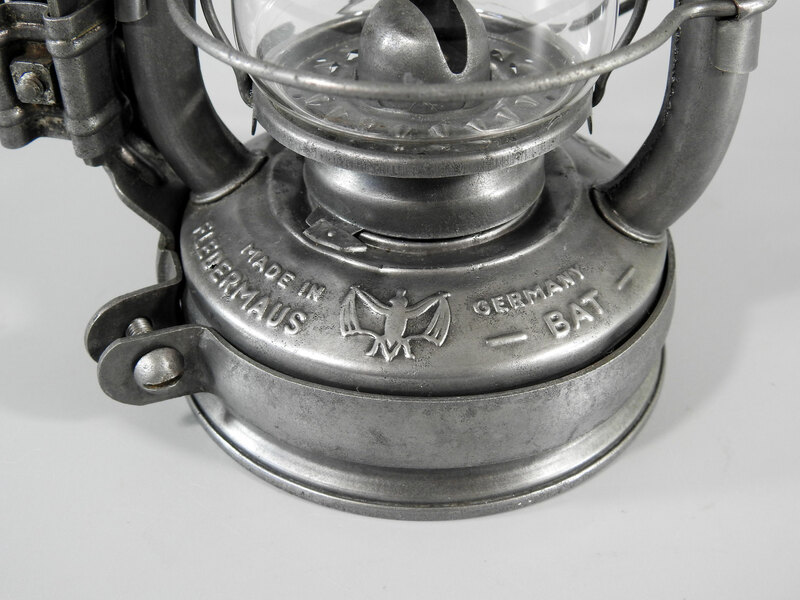 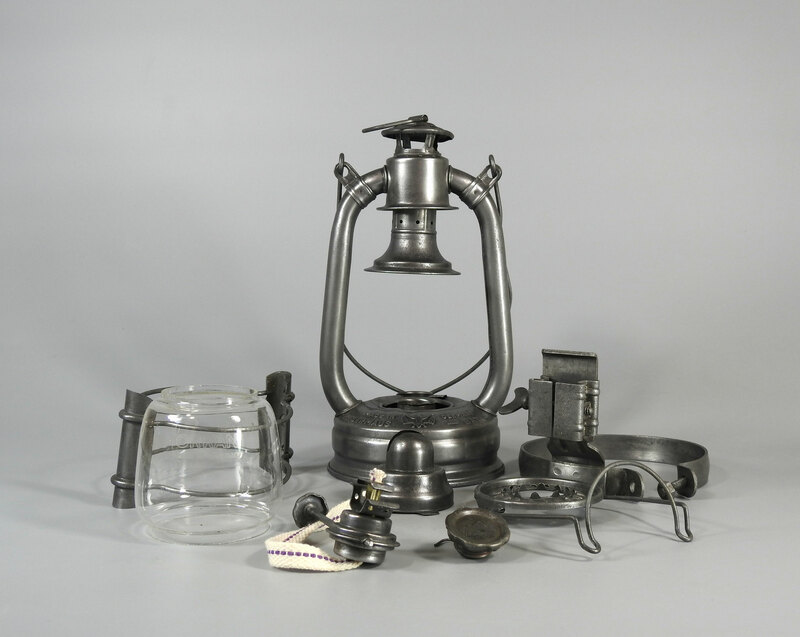 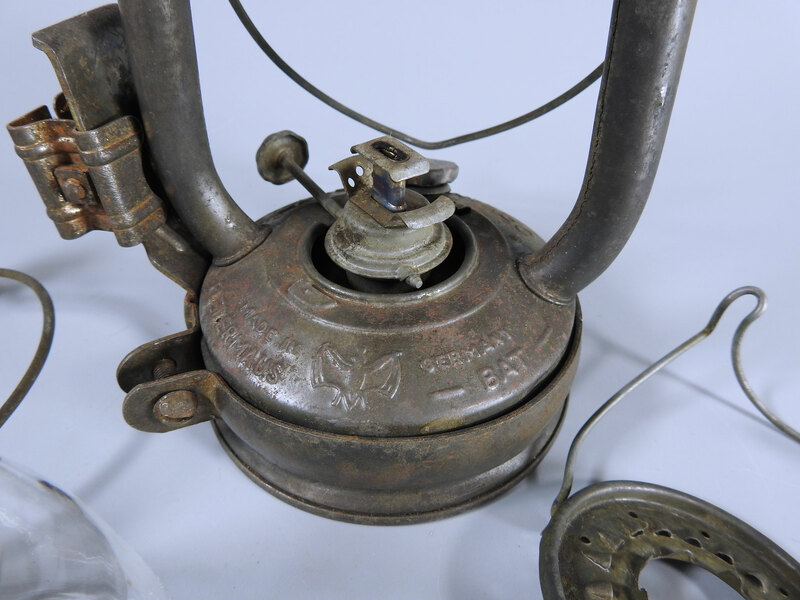 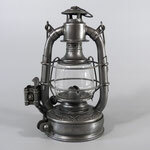 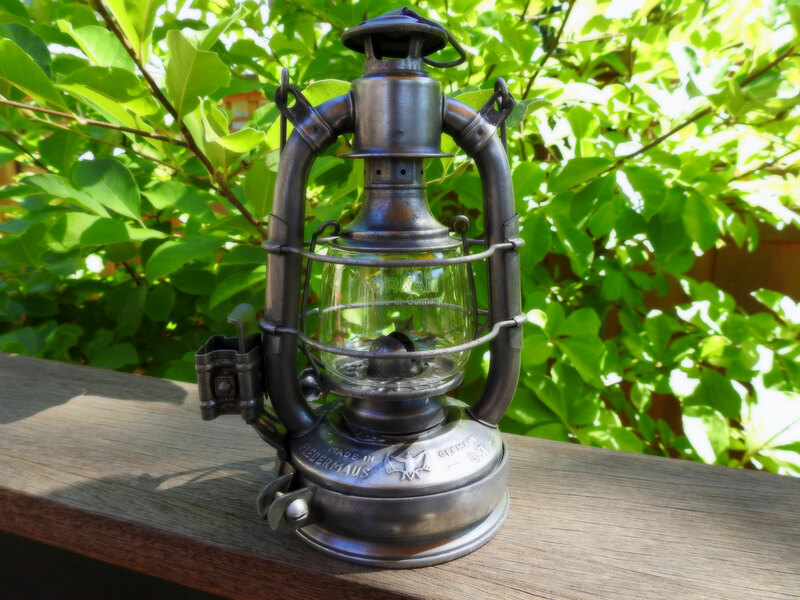 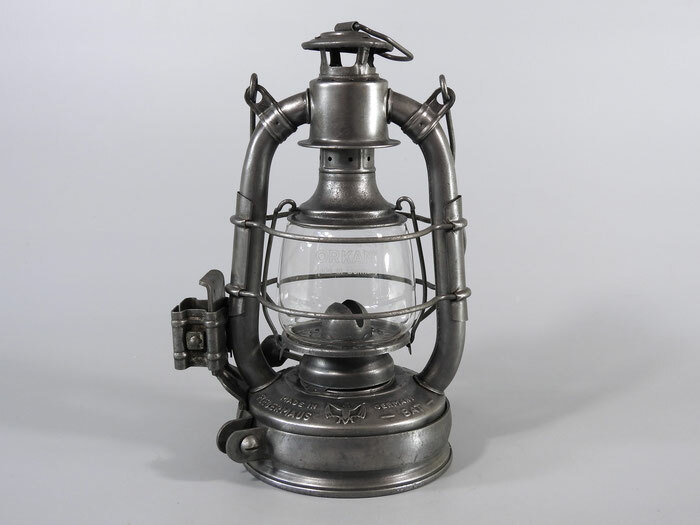 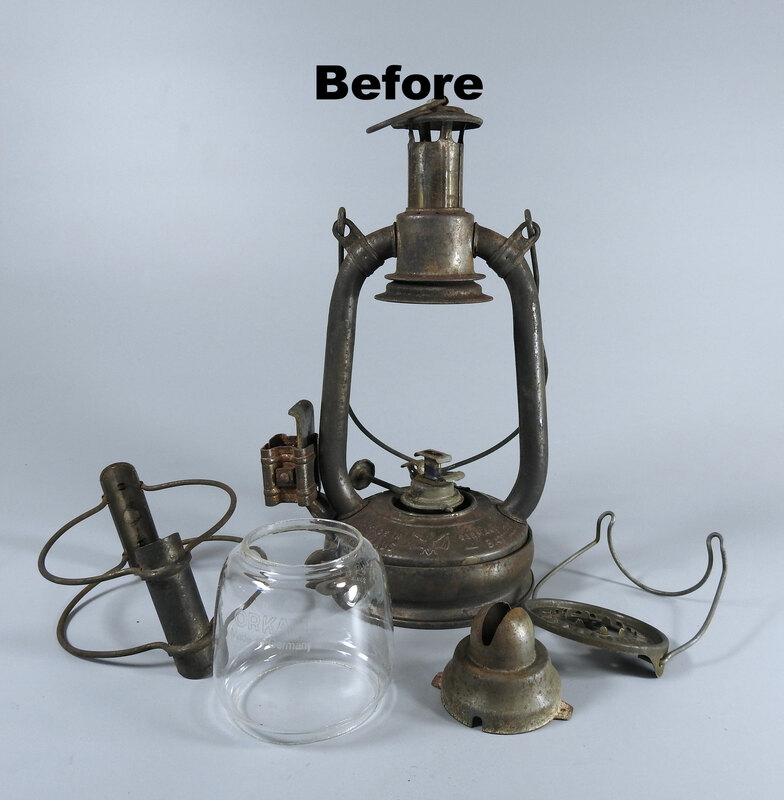 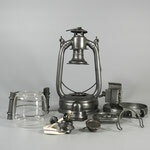 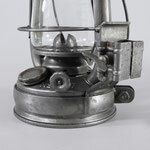 The lantern was in very good condition except for the fact that the burner was 100% seized (frozen) in the insert. 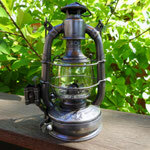 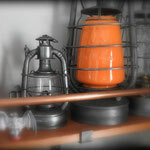 I soaked this lantern for almost 4 weeks in PB Blaster/Kroil/AT oil & Acetone with no results. 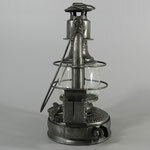 I also used a mini-torch for the 'heat up and cool down' process. 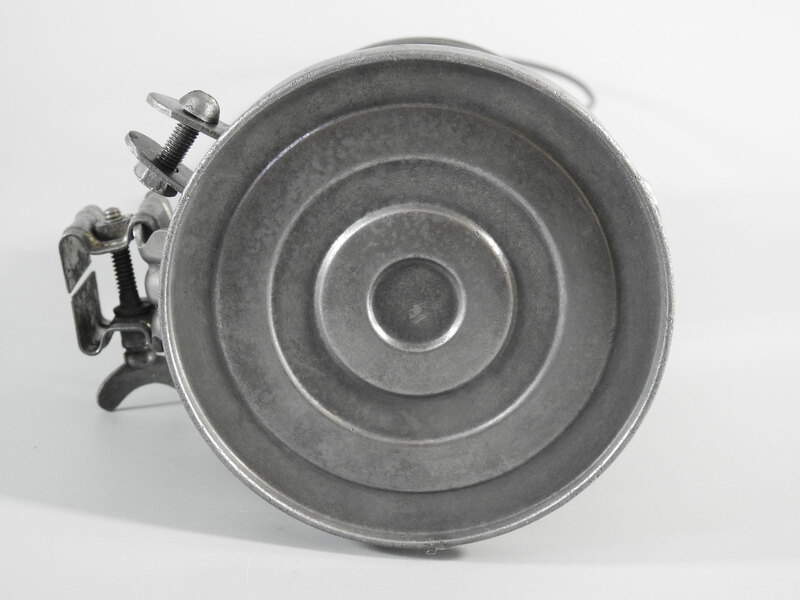 I was finally able to free up the burner by freezing it and then submerged it in hot water. 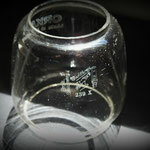 This whole process did take a bit of a toll on the insert fuel fount area. 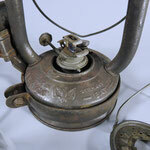 The constant nudging of a flat head screw driver left several smalls dents even though great care was taken. 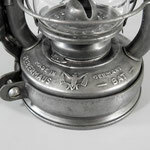 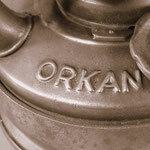 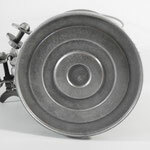 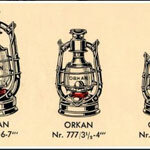 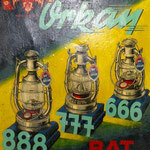 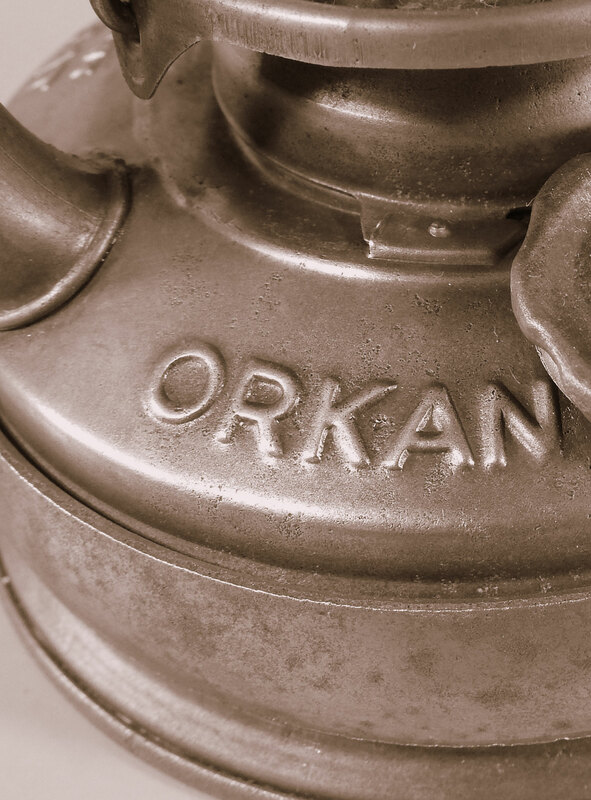 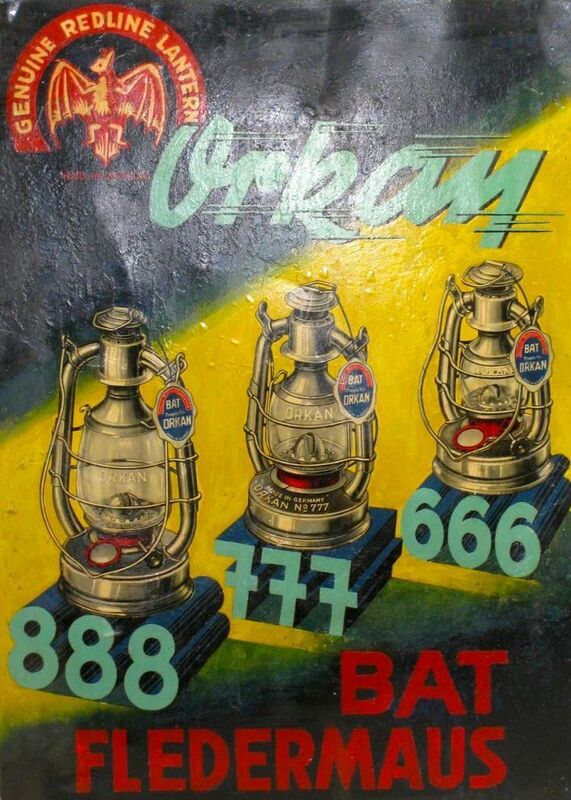 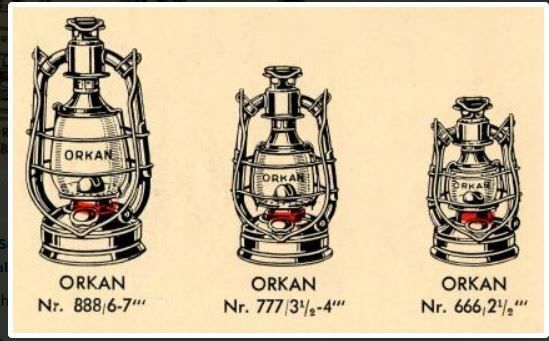 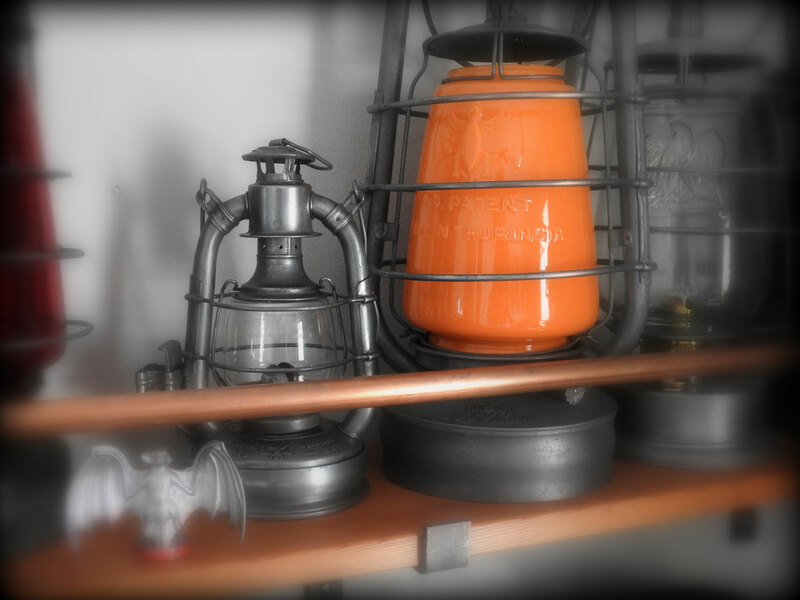 There are three sizes of the Orkan Lantern and two different versions dependent on if Stübgen made the lantern or it was made later on by HASAG when HASAG took over Stübgen. 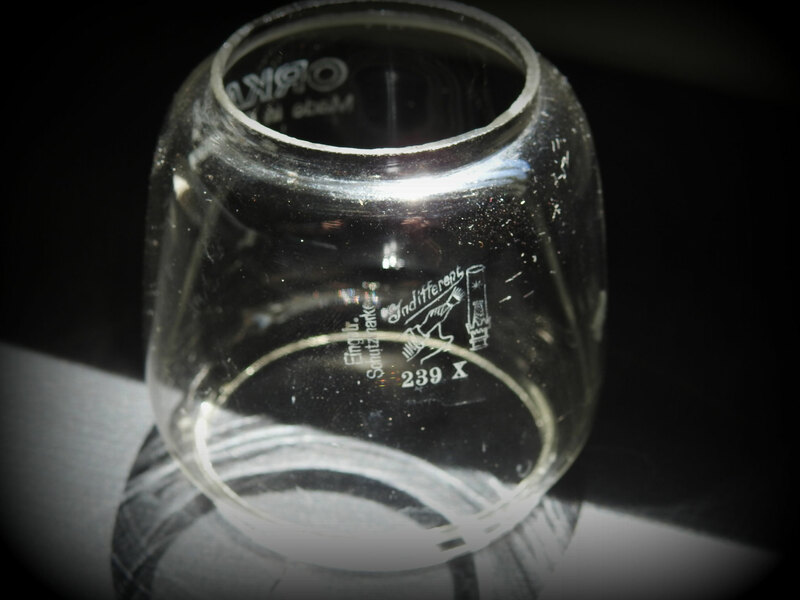 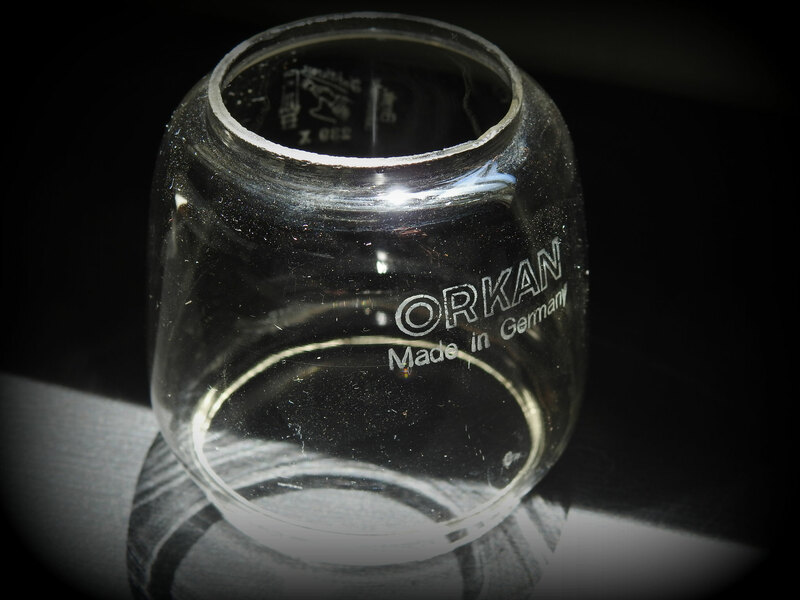 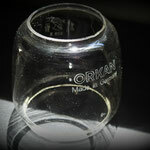 The globe is original and marked Orkan on one side and the other side is etched with the Resistant Logo.